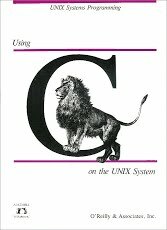 Using C on the UNIX System provides a thorough introduction to the UNIX system call libraries. It is aimed at programmers who already know C, but who want to take full advantage of the UNIX programming environment. If you want to learn how to work with the operating system and to write programs that can interact with directories, terminals, and networks at the lowest level, you will find this book essential. It is impossible to write UNIX utilities of any sophistication without understanding the material in this book.Even if you don't want to program at this level, familiarity with the UNIX system interface is the mark of an experienced and fluent user. If you want to know how the C shell performs job control or how network addressing works, you will find the answer here. Your knowledge of the UNIX system is fundamentally incomplete until you can make C work for you.Using C provides discussions of the most important system calls as well as detailed descriptions of the important system data structures. David A. Curry has been programming and administering UNIX systems since 1978. He has authored books on UNIX and C programming and UNIX security. Dave has worked for the Research Institute for Advanced Computer Science, SRI International, and the Purdue University Engineering Computer Network. He currently serves as the Purdue Computer Emergency Response Team's representative to the Forum of Incident Response and Security Teams. Dave's hobbies include amateur radio and reading military and science fiction, but most of his time is spent trying to keep up with the kids.